Vitrea View Enterprise Viewer: The diagnostic-quality, zero-footprint viewer. Patient records are a vast array of multimedia images and related documents. They are often stored in disparate systems and on external media which are scattered across your enterprise. This makes it difficult for clinicians to stay informed on the current patient condition. Vitrea View image-enables your EMR, allowing users to access images directly from patient records. 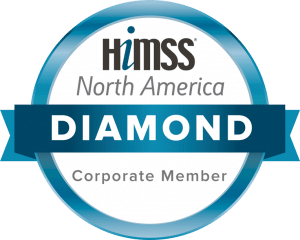 It provides fast and secure access to diagnostic-quality images and multimedia files – both DICOM and non-DICOM – from across the enterprise and beyond. By providing a single point of access from a browser on a desktop, laptop or mobile device, Vitrea View integrates images effectively into primary clinical workflows to help improve care coordination. Enable authorized users to access diagnostic-quality images and information from across the enterprise and beyond – with a single sign-on. Access patient imaging data anytime, anywhere and on any device. Simple, intuitive design allows users to realize the full benefits of enterprise viewing with minimal training. Helps integrate images into the primary clinical workflow effectively. Point-of-care delivery of imaging information allows clinicians to share images and review results with patients easily. Presents DICOM and multimedia images intuitively from a browser window on a desktop, laptop or mobile device. Decrease repeat imaging and patient radiation exposure through efficient, easy access to relevant prior images across the enterprise. Help improve care coordination by providing a single point of access to DICOM images and multimedia files. *When accessed from a mobile device, Vitrea View is for informational purposes only and is not intended for diagnostic use. Click on the icons below for resources specific to Vitrea View.